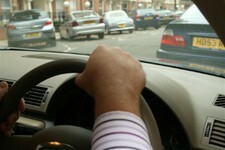 Having poor eyesight "could be lethal"
People with poor eyesight could be putting the lives of both themselves and other road users at risk by failing to use adequate vision correction when behind the wheel of their car, it has been noted. Eye expert Kenny Johnston told the Arbroath Herald that people who require a prescription to drive must always wear their contact lenses or glasses, but it is surprising how many people do not. In addition, many people may be getting behind the wheel of their car without even knowing they have poor vision, which highlights the end for regular eye tests. He told the newspaper: "It is very common to assume that there’s nothing wrong with your eyesight and how many people have got in the car without wearing their specs? One of the first signs of glaucoma is loss of your peripheral vision which could prove lethal when you're driving." It comes after a recent poll by the International Glaucoma Association found that 83 per cent of drivers aged 40 to 54 feel their lives would change dramatically if they could no longer drive. Despite this, one in three have not had an eye test in the last two years, as is recommended.